What did the cheese say to itself in the mirror?… Halloumi. Forgive me, the temptation to open this article with a cheese-based joke was too hard to resist. But I digress – supermarket kings Aldi have answered the prayers of vegetarians across the world by launching their very own brand of halloumi burger slices and they look awesome. No longer will non-meat eating, dairy product loving foodies have to suffer at their friends’ BBQ, they too can get on this burger action malarky. Aldi’s halloumi burger slices, which will be released next Tuesday (June 5), are the latest in a range of vegetarian-inspired products they’re launching throughout the summer. 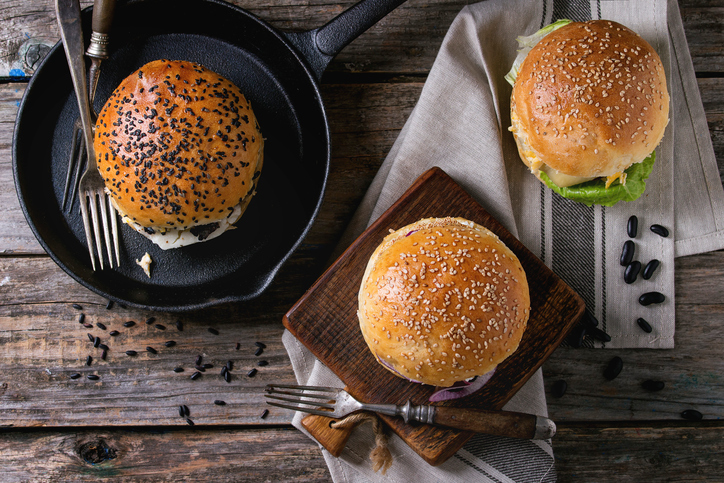 The popularly held belief to a successful BBQ is making sure your burgers are on point – if they fail everything else will fail. You might as well take those chicken wings, pork and steak chops and your next door neighbour’s weak potato salad (which you told them kindly not to bring) and bin it. Get the burgers right and you’ll be the talk of the town – the next thing you know you’ll be setting up your own bespoke burger pop-up-shop in a pretentiously gentrified hip and trendy part of East London. I feel I’ve gone off track, but the point is burgers are awesome and you don’t even have to be a meat eater to appreciate one. Aldi knows this hence they’re selling packs of ‘smooth and tangy’ halloumi burger slices (each one containing four slices) for £1.59. 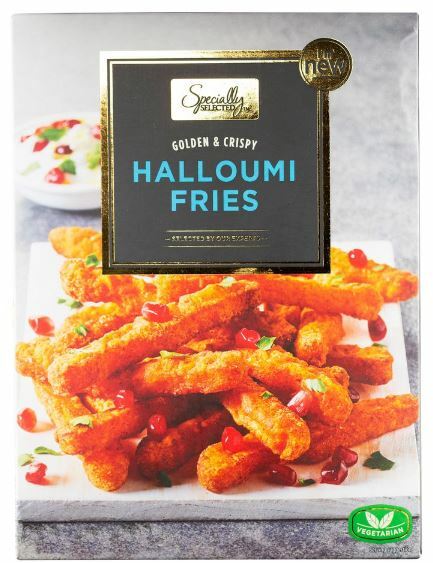 The launch of the Aldi’s halloumi burgers comes off the back of their halloumi fries which they launched on May 19 for just £1.99. Glorious, squeaky, cheesy fries of beauty, for less than two £1 coins. Perfect for this summer weather when you’re sitting on your garden deck chair, a beer in hand and your feet soaking in an inflatable pool. Inspired by a similar offering from popular Portuguese chicken eatery, Nando’s; Aldi’s Specially Selected Haloumi Fries are made with scrumptiously soft – and slightly salty – halloumi cheese from Cyprus and a lightly seasoned crispy coating making them the perfect side or snack for sharing. Need a pool? Well the supermarket also has the perfect summer must-have in the form their Luxury Spa Pool hot tub which made a comeback last March. Available for £279.99, it sees off B&M’s inflatable hot tub by just one English penny, which, when you think about it, is well cheeky. You have to applaud the audacity. To ensure there’s no hysterical follow-up of last year, Aldi will be stocking 50 per cent more tubs. But there will be a limit of one tub per customer. The tub is suitable for both indoor and outdoor use, with a 785-litre pool, 120 powerful air jets and a 2200W heater. Last year, we saw unprecedented demand for our Spa Pool and are thrilled to be bringing more back for our customers to enjoy this spring. Picture the scene you’re eating a halloumi burger, with halloumi fries while floating in your cheap-as-chips luxury pool. Aldi is proving to be the kings of the summer.